Singapore is a city-state in Southeast Asia, it is located on the island of the same name and a number of smaller islands. The British obtained sovereignty over Singapore in 1824. It proclaimed independence from the UK in 1963 and became part of Malaysia. 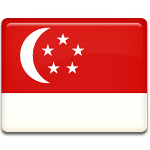 Two years later, Singapore was expelled from the Federation, becoming an independent state on August 9, 1965. The anniversary of Singapore's independence from Malaysia was declared a national holiday. It is marked with various festivities, including the National Day Parade, the National Day Rally and the Singapore Fireworks Celebrations. The National Day Parade was initially held at the Padang, a historical area in the center of Singapore. Currently, the Padang is used as the main performance venue every five years. The Parade used to be held at the National Stadium, but in 2007 it was moved to the Float at Marina Bay. The Fireworks Celebrations also take place at Marina Bay, the event was first held in 2004. The National Day Rally is the annual address made by the Prime Minister. It takes place on the second Sunday after the National Day.